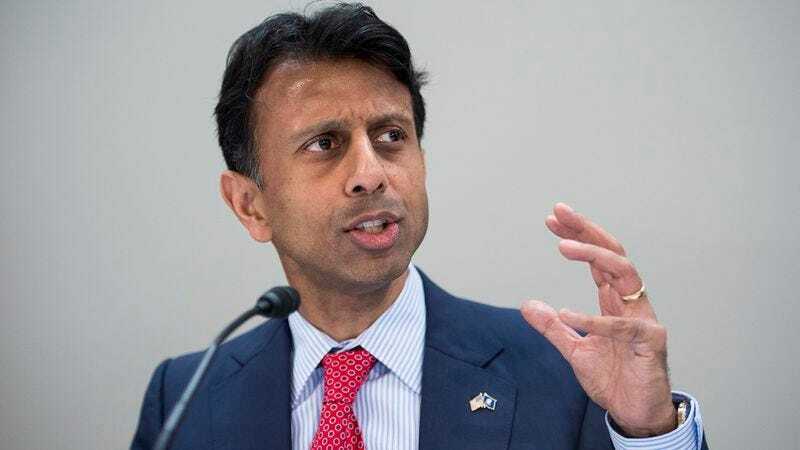 CLEVELAND—Hailing the bygone era as a golden age of opportunity, Louisiana governor Bobby Jindal spent his opening remarks during Thursday’s GOP debate vowing to return America to a time when he was a rising star within the Republican Party. “I want to bring America back to its best days, back when our future as a nation looked bright and I was widely considered to be the leading voice of a new generation of conservatives,” said Jindal, emphasizing that the country had strayed too far from the halcyon days that Americans enjoyed for a brief period in early 2009. “Comparing our nation today to where it was during that idyllic time when I was being touted as a potential heir to the Ronald Reagan legacy, anyone can plainly see that the most powerful country in the world has lost its way and replaced hopefulness and optimism with utter despair.” If allowed to guide America back to that “glorious era,” Jindal pledged he’d never attempt to deliver a rebuttal to any charismatic Democrat’s national address, a significant miscalculation that he blamed for plunging the country into its current dark age.